I was prematurely informed that mutual recognition in Florida was passed on Tuesday - that's not quite the case just yet. The Grand Lodge of Florida F&AM voted Tuesday at their 189th Annual Communication to finalize the steps to mutually recognize as regular their Prince Hall counterparts – the Most Worshipful Union Grand Lodge, Free and Accepted Masons, Prince Hall Affiliated, of Florida and Belize, Central America, Inc.,(established in 1870). This comes nearly a decade after Florida's PHA grand lodge first reached out to their mainstream brethren by requesting recognition. The GL of Florida rejected those overtures in the past, and the PHA grand lodge dropped the subject. However, private meetings and off the record conversations reactivated the process in the last few months. Following backchannel discussions between the two jurisdictions, the MW Union Grand Lodge of Florida developed options concerning terms by which they could accept recognition from the Grand Lodge of Florida. For their own constitutional reasons, those proposals had to lay over for 90 days – that period has not run its course yet. So, what the members of the GL of Florida voted in favor of Tuesday was to grant the incoming Grand Master, John Karroum, the final authority to accept or deny terms of recognition after the MWUGLF undertakes their own voting. I have not seen any official wording of the motion passed this week (it was NOT a written resolution, but it was passed almost unanimously), so it is unclear to me if there is an additional step required at the 2019 Annual Communication to finalize it. Nevertheless, both GLs appear to be on track to achieve mutual recognition within the coming year. In several other states, joint recognition has been something like a dog chasing a speeding car who didn't know what to do with it once he caught the thing. A first step has sometimes been to recognize first without visitation, which was then worked out in subsequent years. It was recently that way at first in Texas, and it seems to be the current case in Alabama. 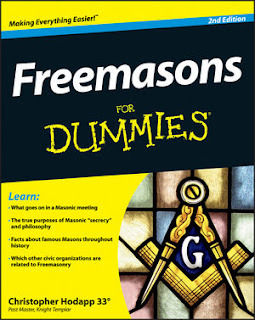 If Florida succeeds at all of the fine points of Masonic diplomacy, there will remain just seven mainstream, predominantly white grand lodges in the U.S. and Canada that have not recognized their predominantly black Prince Hall Affiliated (PHA) grand lodge counterparts: Louisiana, Arkansas, Mississippi, Georgia, Tennessee, South Carolina, and West Virginia. While mutual recognition may not yet be official, it is a big step in the right direction for all of Masons to meet on the level. This is good news. I have been waiting on this to start happening since before I moved to Florida. Full mutual recognition would be a very welcome development, in the opinion of this Florida F&AM Mason. It's sad that this is solely based on skin color and not historical facts. And it's even more sad to have such blatant disregard for a group of people even as apart of this beautiful system of "morality" called Freemasonry. I am hopful, as a Prince Hall Mason, in the state of Florida. I cannot wait for the day, when we'll all be able to fellowship and learn from one another. I am very hopeful that we can have full mutual recognition with one another here in Florida. This would a Historical moment within Florida Freemasonry. 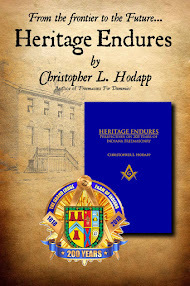 I am very happy to see that the hand of brotherhood and recognition between the Grand Lodges and Prince Hall Masonry. Years ago, I was traveling from Connecticut to my home in Salem, Ma when my car overheated and decided to not to start. Here I am in a area I don't know, it's getting dark, and I'm looking for a phone or a garage. Well, going up this street, I come across a Prince Hall Lodge. People were going in and out, so I figured I'd take a chance. I walked in and asked to speak to the WM, he came over, I explained my situation. He and the brothers were most gracious, they called AAA, and gave me a ride back to my car and waited until the two truck came and until a,friend came from Boston to get me. We were Aldo invited to stay for the dinner, and if there was a,problem getting home Thry would make sure I got there. This was truly brotherhood in action without concern for any outward apprarances. Don Daly Essex Lodge Salem, MA. There have not been any updates. From what I am aware of, our GL is still waiting to hear from the MWUGL, PHA as to their definition of "recognition". Was Pardoned Boxer Jack Johnson a Freemason? Making State Sponsored Anti-Masonry "Cute"